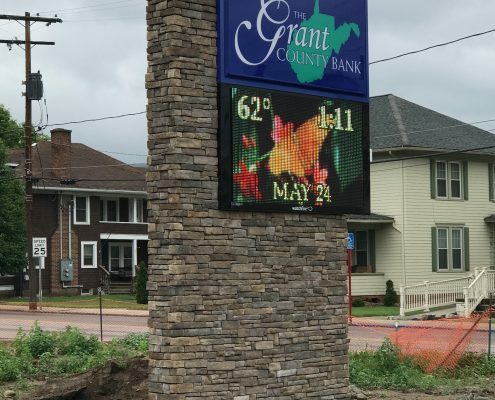 This is a Watchfire electronic message board and lighted sign, located in Petersburg, WV at the Grant County Bank. 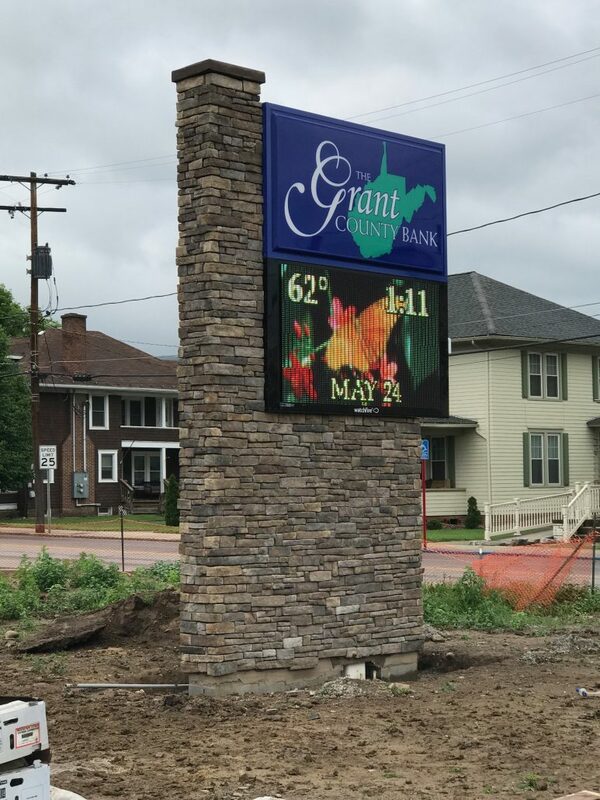 Timothy Robaugh constructed the brickwork around the sign. Looks amazing!